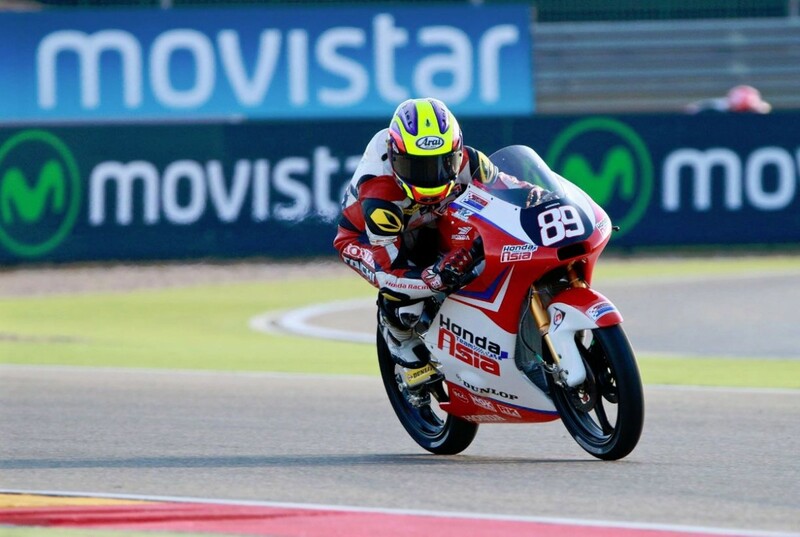 The Honda rider was the first to cross the finish line at the Termas de Rio Hondo Circuit in Argentina. 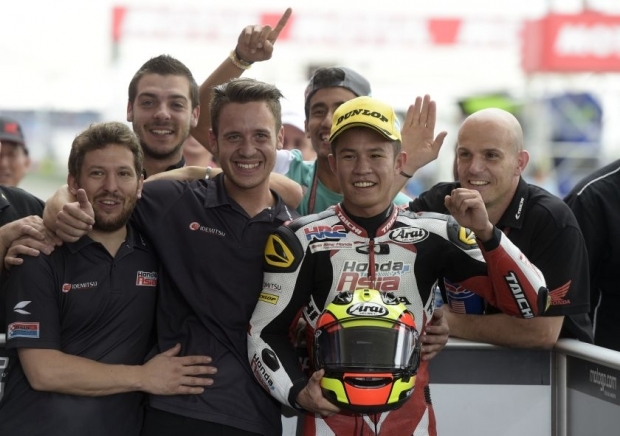 17-year-old Khairul Idham Pawi just made all us proud by becoming the first Malaysian to win a Moto GP Championship! Khairul Idham Pawi all smiles at the podium. He was ahead of Jorge Navarro and Brad Binder who were 26 and 30 seconds behind Khairul respectively. 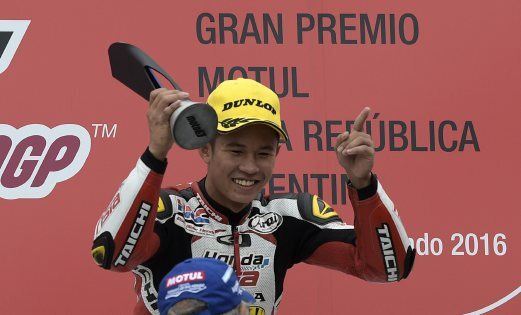 Competing in just his third World Championship race, Khairul was delighted and surprised at the result. He also attributed the win to the setup of his machine. Khairul celebrating with members of his team. "I am really happy and grateful to get this result today and it feels great to get my first career win. Plus, the setup of my bike was very good and it gave me a lot of confidence to push hard. I felt at ease, I just tried my best to keep my focus and maintain my lead,” said Khairul Idham in a post-race interview. He hopes to retain his position at the third leg of the race, which will be held in the Circuit Of The Americas in Central Texas, United States from 8 to 10 April 2016. 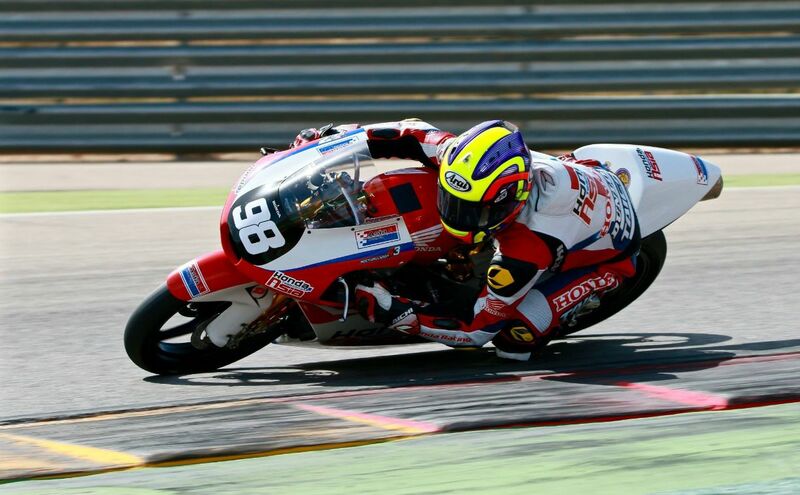 He finished 25th-place at the Aragon Grand Prix. Well done, Khairul! We wish you all the best at the next race! Nur Shazrin Mohd Latif is the third Malaysian sailor to qualify for the Olympics.